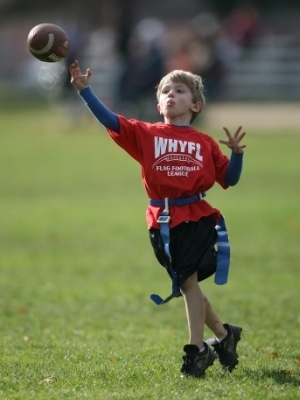 The objective of the West Hartford Youth Football League (WHYFL) is to instill in the youth of the town the principles of good citizenship, sportsmanship, and teamwork through the knowledge of and association in the competitive sport of football. The league is open to boys and girls between the ages of 5 and 14 who reside in or attend school in West Hartford. The Instructional/Flag Division shall be comprised of boys and girls in grades 1st through 8th entering the current schoool year. There are no weight restrictions. Practices will be held once a week and games will be played on Saturdays and Sundays. Players must be registered in grade 4 and under and cannot turn 11 years old before 12/1 of the present season with the exception of “older/lighters”. Players over 125lbs during pre-season weigh-in must play as interior lineman on offense (Center, Guard or Tackle) in a three-point stance and have a defining mark on the front and back of their helmet. Players between 116-125lbs during pre-season weigh-in may play as interior lineman and TE on the line of scrimmage on offense and have a defining mark on the front and back of their helmet. 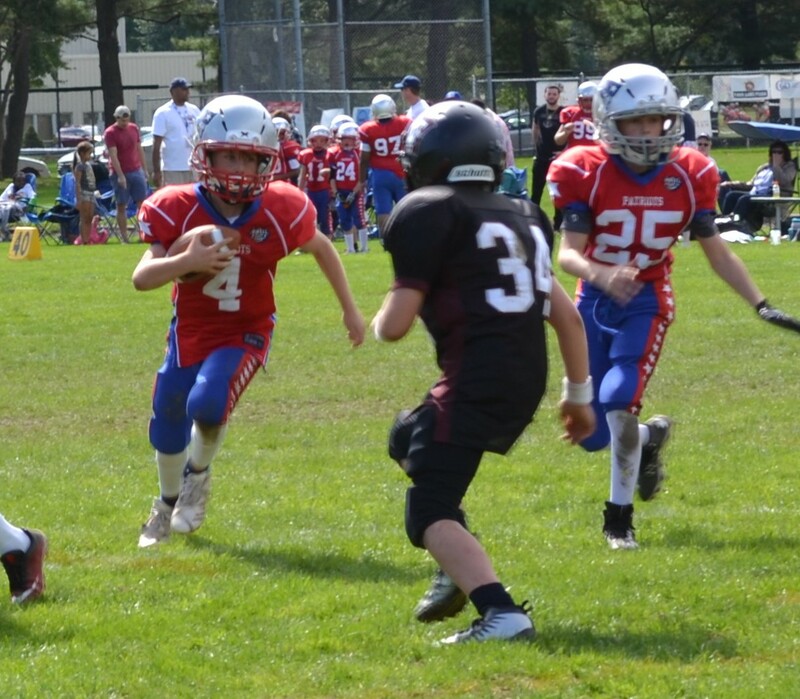 They may receive a forward pass over the line of scrimmage but cannot take a handoff. Players weighing under 116lbs during pre-season weigh-in are not position limited and may run the ball after receiving a handoff or snap. Players must be registered in grade 5-6 and cannot turn 13 years old before 12/1 of the present season with the exception of “older/lighters”. Players over 155lbs during the pre-season weigh-in must play as interior lineman on offense (Center, Guard or Tackle) in a three-point stance.Players between 126-155lbs during pre-season weigh-in may play as interior lineman as well as TE on offense. They may receive a forward pass but cannot receive a handoff. 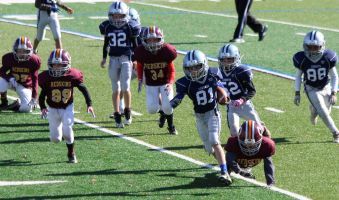 Players weighing under 126 during pre-season weigh-in are not position limited and may run the ball after receiving a handoff or snap. Players must be registered in grade 7-8 and cannot turn 15 years old before 12/1 of the present season. No 9th graders will be allowed regardless of weight. There are currently no position restrictions based on weight.